Butterflies of Athens - mark your calendars! Dr. James Porter gets to the nitty-gritty. 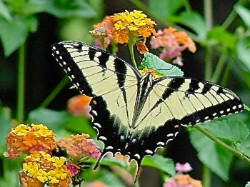 See examples of beautiful and unusual butterflies and moths from Athens-Clarke County. Dr. Porter will display more than 1,000 specimens. His talk will cover conservation priorities and conservation challenges facing these important pollinators in Georgia. This is a rare opportunity to see these amazing local butterflies and moths, and to hear this award-winning speaker talk about natural areas and vital species within our county. The Museum Gallery is open Saturday afternoons from noon ‘till three. This is a good time to visit since there are no parking problems. This coming Saturday (February 27) Nikki Castleberry will host the gallery. Take advantage and go one-on-one with Nikki about bats and rats, birds and mice. Tell the neighbors and bring the kiddies. Let’s show off our museum.